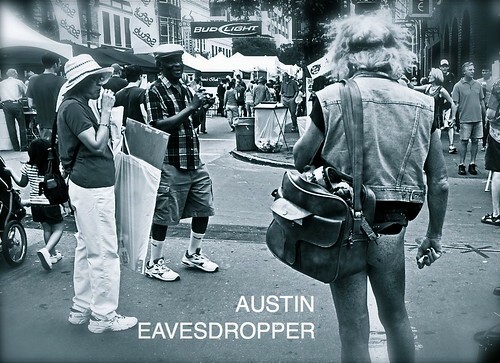 I am flattered and excited to have some of my work and an interview featured on fellow Austinite Tolly Moseley's site, Austin Eavesdropper. You can read my silly thoughts if you like, but either way I urge you to check out her blog to see/read/hear about awesome things happening locally. Thank you so much Tolly for being so nice and for the gracious opportunity!